2-piece set. 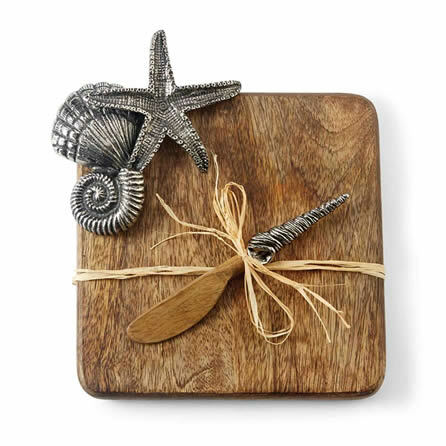 Weathered mango wood cutting board features clustered starfish and shell icons. Comes with metal shell handle spreader with mango wood blade. Cutting Board is 8″ square. Spreader is 5.5″ length.